Sanibonani! For those of you who don’t know, that means “Hello” in Zulu. Zulu is a language spoken in many parts of South Africa, and a language that is now often heard in Interstudy‘s Boston office. Interstudy‘s South Africa Site Specialist and the newest addition to the office, Langa Mchunu, was born and raised in South Africa and speaks fluent Zulu and English. Even though Langa is the only one from South Africa in our office, we are all catching on with some of his Zulu phrases. The most popular one being “Yebo”, which means “Yes”. “Yebo” just falls off the tongue so much easier than “Yes”. You can count on “Yebo” being the new hip word to use in the US in a few years, and you can thank Langa for that! Langa was born and raised in Durban, South Africa and grew up in uMlazi and Lamontville, townships 20 minutes south of Durban. 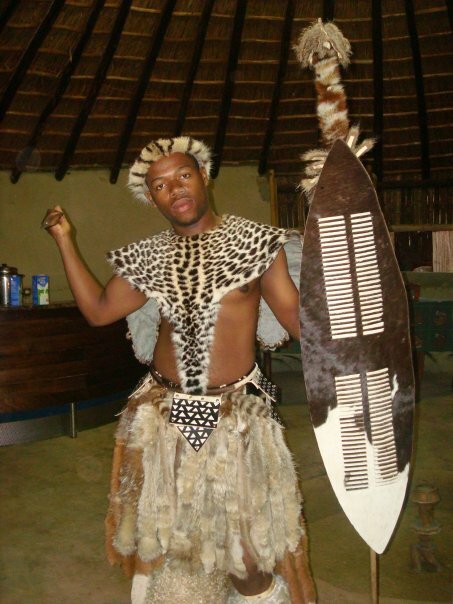 He attended the University of Zululand in Durban and then worked as a logistics coordinator for an international study abroad program in Durban from 2005 through 2012. He has traveled to Mozambique, Swaziland, Lesotho, Malawi, Sweden, Spain, Egypt, Turkey, Canada, and just moved to the US this winter. As Interstudy‘s South Africa Site Specialist, Langa is now responsible for advising students on program and course selections, giving pre-departure orientations to students, and working with the on site staff in South Africa to stay up to date with all the latest student issues and safety concerns. We are so lucky to now have Langa as a part of the Interstudy team! Ngiyakwemukela Langa! Don’t forget there’s still time to study abroad this Fall in Langa’s hometown of Durban at the University of KwaZulu-Natal! Applications are due APRIL 30TH! Apply NOW! ← There’s THREE Different Programs in Dublin? !